It seems like we’re finally getting close to a Carmelo Anthony trade, and that means the rosters of two teams, Denver and one of New York or New Jersey, will be turned over.Carmelo is the big name in the trade that everyone’s talking about, but he might not be the game-changer. 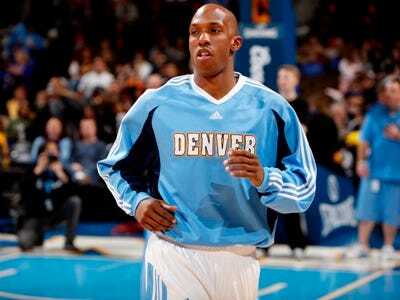 Chauncey Billups, Denver’s 34-year-old point guard, will also be included in the deal and is said to be unhappy with a potential trade to the Knicks or Nets. If ‘Melo is traded and the Nuggets are blown up, Billups wants to play for the Miami Heat. Billups will reportedly try to force a deal to the Heat (likely through a buyout), and wants to play with LeBron and company so badly that he’s willing to play for a minimum salary. Obviously, the Knicks or Nets could easily ignore Billups’ requests. But there’s a chance “Mr. Big Shot” could end up with the Heat, which would solve one of their most glaring issues. Miami has slowly turned into a dominant team, but the Heat could still use a primary ball handler. The Heat recently handed Mario Chalmers the starting point guard job, replacing Carlos Arroyo, and are clearly unsettled at that position. If they’re somehow able to get Billups, who shoots 44 per cent from three point range even at his advanced age, the Heat will pass the Lakers and Celtics and become the odds-on favourite.